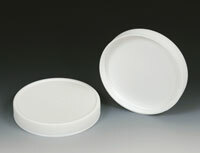 Jars can be used to package cosmetics and have straight-sided interior wall. 8 oz. clear jar has white, fine-ribbed cap with polyethylene foam lining. Clear jars are not recommended for hot fill applications. 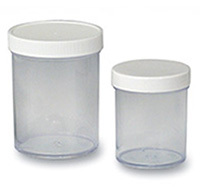 Jars and caps meet FDA specifications. Replacement caps sold separately.